Swedish stunner – she’s hot – HubNut – celebrating the average! My joy at yet another new car has been tainted somewhat by the discovery that the cooling fan isn’t working. I’m glad we had a low-temperature, traffic-free trip back home that didn’t cause overheating. Looks like the fan switch is at fault, so it least it should be easy to solve. A new switch has been ordered, along with a Haynes Book of Lies. It’s hard to be disappointed with the car though – it did cost me less than £600 after all. I’m only disappointed with myself for failing to spot the issue during the test. Once again, I went into a purchase with the best of intentions and once again, I ballsed up. Imagine the catastrophe that would have unfolded if we’d gone along with my original desire to buy the Saab and then immediately undertake a drive to Kent from our Welsh home! We would have ended up on the hard shoulder of the M25 in a big steamy mess, probably with a blown head gasket and a repair job higher than the cost of the car in the first place. Will I learn? Probably not. 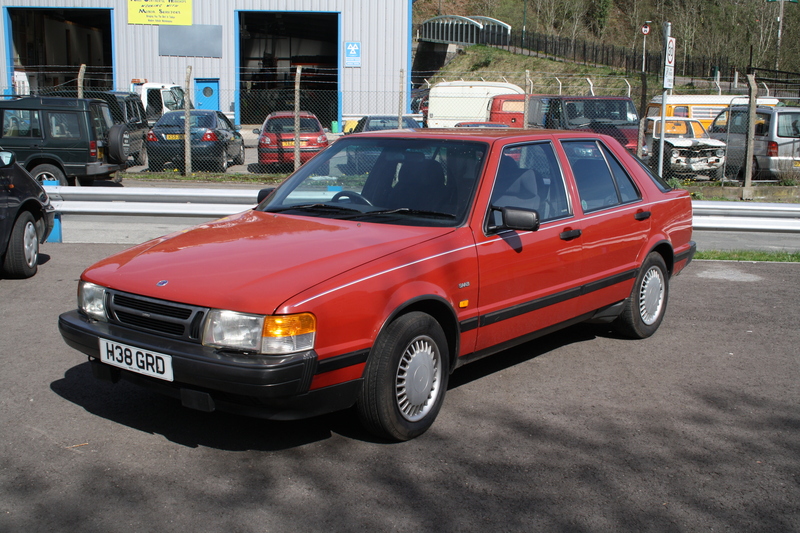 Just to rub salt into the wounds, the Volvo I also looked at has now been reduced to the same price as the Saab! Yet I still think the Saab was the better purchase. It’s smoother, quieter and really quite eerily quiet on the move. I reckon the Saab should still edge the blocky Volvo at the pumps too – fuel consumption according to the on-board computer (cool eh? Volvo didn’t have that – though it did have a graphic equaliser for the stereo, and overdrive…) is somewhere between 35 and 38mpg so far. It’s all part of the adventure of buying older cars though, and I wouldn’t have it any other way.